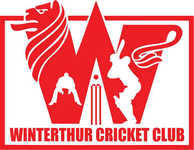 Founded in 1982 the Winterthur Cricket Club plays cricket in the Swiss town of Winterthur, approximately 25 kilometres east of Zurich and is fully associated to Cricket Switzerland (CCH). 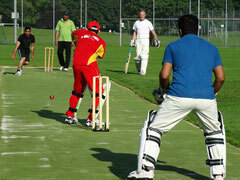 Winterthur is one of the few Swiss clubs that play cricket on a permanent "non-turf" cricket pitch, located at Sportpark Deutweg in Winterthur. The cricket season runs from April through to early October. Home matches are usually played on a Sunday and usually begin at 12.30pm. Click on "Matches" to find out more about this season's fixtures. Training night is every Wednesday evening, starting anytime after 6pm and continues until it begins to grow dark - sometimes longer thanks to the floodlights. And following training there is social gathering in a restaurant local to the ground. This is usually the best way to meet the regular members of the club. Obviously practice does not continue all year round, but the gathering in the evening does! 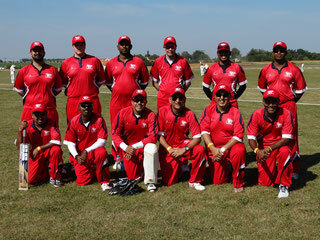 Winterthur Cricket club participates in the national league, of which it was champions in 2000 and in 2002, the domestic Mr. Pickwick Cricket Twenty20 Cup, T20 competitions, has hosted it’s very own annual cricket festival, and travels on tour to European destinations, such as Italy, France, England, Czech Republic and Germany. The Club attracts members from all over the county of Zurich, from towns surrounding the lake of Zurich, and the counties of Aargau, Thurgau and Schaffhausen. Wish to become a member? 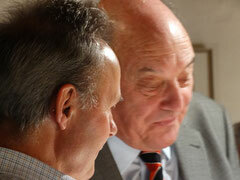 Contact us to ensure you'll be kept up-to-date on all future events and activities of the Club. Now that the Winterthur Cricket Club is a little less of a mystery to you, we hope that you find the events and activities of some interest and that you will join us in the very near future.